Stories, Updates, Videos and much more… New content all season long!!! The Ultimate North American Adventure! Who are we??? 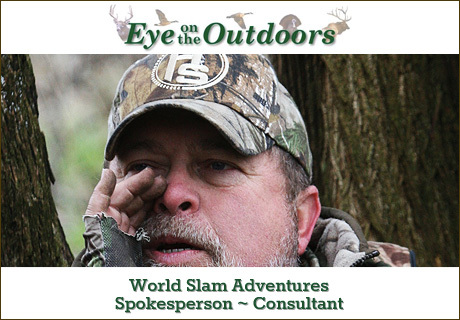 Hear our story, and learn more about what make WSA a special place for Turkey Hunters!!! More than a booking agent, we are a Full Service Concierge Sporting Travel Agency! We specialize in hospitality, concierge level service, and making sure sportsmen (and women) have the absolute Trip of a Lifetime…EVERY TIME!!! We work the best of the best in the world of outfitters, those who not only get you on the game, but also know what it means to have an incredible, all around hunting experience. We began in 2013, specializing in Turkey Hunting, but it couldn’t stay that way for long. Our clients came back, time and again, insisting that we help them pursue their Big Game, Wing Shooting and Angling Adventures as well. The concierge level of service we provide you is second to none! From the first day you contact us to inquire about the hunt of your dreams, through booking you with an outfitter who will match you and your desires best, to obtaining licenses and tags, booking travel, arranging for trophy imports & taxidermy and beyond…we will be there for you, every step of the way, making sure that you undoubtably have the ADVENTURE OF YOUR DREAMS!! !